On 03 March 2016, at about 4 PM, I received a telephone call from my friend Jose. He is generally at work at in the evenings and would never called me this time. My question to Jose was “Anything wrong?” He said “I lost my Dad about an hour ago.” I asked him as to where he was and he said he was back home from his work place. I said that I would be there in the next ten minutes. Jose hails from my village in Kerala and was my mother’s student in the village high school. The first time I met Jose was after landing in Canada. There was no occasion to meet him in India as I joined Sainik School at the age of nine, then moved on to the National Defence Academy and then 25 years service with the Indian Army. Jose knew my three brothers very well. Jose, being a lawyer, was a colleague of my elder brother at the Kottayam District Court. He until then was of the impression that my mother, his teacher, had three sons and not four. During my annual visits to Kerala, Jose would always send some gift for his Dad and Mr Abraham would come home on my arrival to pick it up. He would also visit us on my return to hand over some gift for his grandson Kevin in Canada. Hence, it became a ritual for me to meet him during all my Kerala trips. I reached Jose’s home and obviously he was heartbroken. I consoled him with a few words and in a minute I was off to coordinating his travel to Kerala. I immediately asked for the travel plans. Jose’s son Kevin, a Grade 10 student, was having his semester examinations and the feasibility of him accompanying his Dad was ruled out. Jose’s wife Pauline now had no option other than to stay back and take care of Kevin. Thus it was finalised that only Jose will travel to Kerala for the last rites of his father. Jose was advised by me to call up his workplace and request for three weeks off. It was granted promptly by his supervisor. I now asked for Jose’s Canadian Passport and got on to the internet to fill up the Indian Visa application online. There is a need to upload a passport size photograph along with the application. I shot a photo of Jose on my Iphone, edited it and uploaded it. Meanwhile, I requested Pauline to call up two travel agents to arrange the flight tickets. 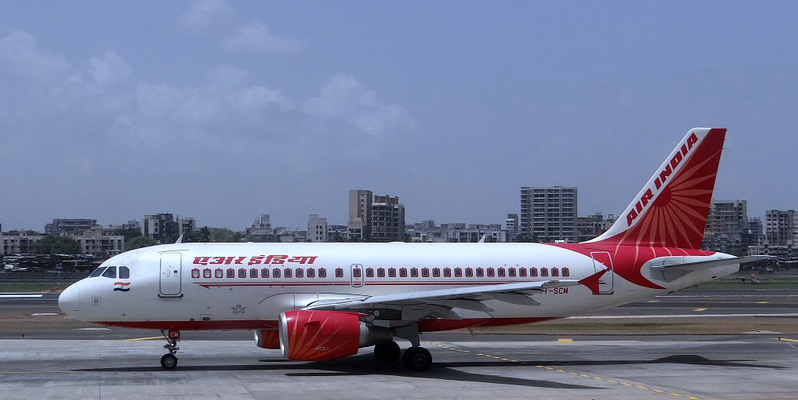 The options for travel zeroed down to travel by Air Canada – Air India via London and by Ethihad via Chicago. The option of a return trip from India through USA to Canada was rejected as one has to pick up the luggage at Chicago, go through the customs and immigration process, move to a different terminal with all the bag and baggage, recheck in with Air Canada, go through security and then board the flight. The rule in North America is that any passenger landing at any North American port has to get the customs and immigration check done there and then only proceed to their destination, even if it is in a different country. Considering all these factors, we finalised the travel by Air Canada – Air India, leaving Toronto at 6 PM on 04 March and bought the tickets. When applying for an emergency Visa with the Indian Consulate, there is a need to prove the emergency. For that a booked air ticket for the journey to India and a letter from the hospital or local government authorities regarding the demise of a person is required. 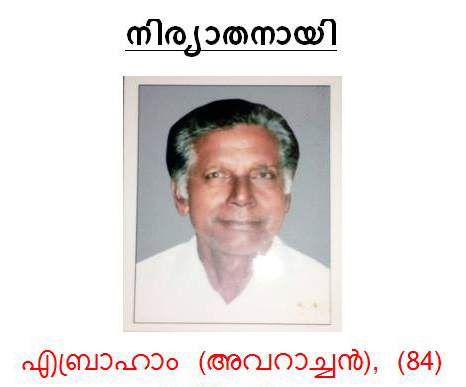 Now we called up Jose’s cousin in Kerala to obtain a letter from the hospital regarding the demise of Mr Abraham, indicating him as the father of Jose. The online Visa application, the eticket from the airline, the letter showing the demise of Mr Abraham and a copy of a passport size photo were all printed and we were ready to proceed to the Indian Consulate at Toronto. Meanwhile, I rang up our neighbour and a close family friend Mr Thomas K Thomas for his help with the Visa application. Mr Thomas is our community leader and is well known to the Indian Consulate staff. He did the liaison with them and instructed us to meet Mr Sharma at the reception and he would do the needful. He also advised me to call him in case of any difficulties or delay. Meanwhile there were many well wishers calling up Jose to express their condolences. They seem not to realise what was going on at the other end and kept the telephone line busy with their sympathetic conversation. Most wanted to know ‘How did he die? Which vehicle hit him? Have they filed an insurance claim? Are you going to Kerala? When are you going?, etc.’ Obviously, everyone wanted to know everything, but hardly anyone offered any assistance. Everyone wanted to be sympathetic rather than being empathetic and helpful at a time of need. In effect they were only tying down the telephone line, the most wanted resource at that time to arrange for Jose’s travel. On 04 March morning we reached the Indian Consulate at Toronto by 10 AM. We obtained a Postal Order for $119 from the Canada Post Office located at the ground floor of the building. One got to have either a Bank Draft or a Postal Order as the Indian Consulate does not accept cash or debit/credit cards. We met Mr Sharma at the reception and then handed over the Visa Application at the counter. After half an hour, Jose was called and his Passport with the Visa was handed over. The entire process was real fast and efficient. We reached Jose’s home by midday. I now contacted our family friend Mr Johnson, who works as a supervisor with Air Canada. He advised me to drop off Jose at the airport by 3:30 PM as he would be off duty by 4 PM. We drove off to the Toronto airport and were received by Johnson, who in no time completed all the ticketing formalities and checked in the luggage and I saw off Jose at the security gate. what a bliss to have such an understanding friend and so many useful contacts at such times of distress! know the difference between empathy and sympathy ! Mr.Abraham RIP ! True friend. Great to have friends like you. Quite informative article on how to face such an emergency situation for people abroad . You have proven that friend in need is a friend indeed. Lot of people do not know the procedure / documentations required. Go bare hand, to the consulate and blame the consulate for not issuing the visa in time. Reading some of Reji’s blogs will help. Hi Reji U r awesome….. I have first hand experience of your consistently empathitic attitude towards each one of your acquittance. It is amazing how you maintain the tempo and zeal to help others and be helping part of their lives. God bless.